If you have episodes of dizziness or you feel unstable on your feet, you may have a balance disorder. According to estimates, approximately 40% of Americans will experience some form of dizziness or balance disorder at some point in their lives. While balance disorders can affect people of any age, the incidence increases with age. Balance is a complex function that involves the coordination of your body’s visual, vestibular, and somatosensory systems. Your visual system provides information about your environment. Your vestibular system, located in your inner ear, is needed for balance and position sense. Nerve endings throughout your body provide information about the location of your body in space, or proprioception. If there is a problem with any of these systems, you can experience balance problems and dizziness. Conditions such as eye muscle imbalance, ear infections, inner ear injury, head injury, headache, arthritis, stroke or other neurological disorder, Ménière's disease, and more can cause dizziness and other symptoms. Even certain medications can be toxic to the vestibular system or produce side effects that cause dizziness. Other symptoms of a balance disorder may include vertigo (a spinning sensation), feeling faint or lightheaded, falling, confusion/disorientation, nausea or vomiting, blurred vision, abnormal gait, headaches, and more. Symptoms may come and go. They may last for a short period of time (acute) or a long period of time (chronic). Whatever the reason for your balance disorder, one thing is for sure: A balance disorder can significantly impact your quality of life by disrupting your daily activities and causing psychological and emotional hardship. The physical therapists at Orion Physical Therapy and Active Orthopedics Physical Therapy are highly trained in treating the physical problems associated with balance disorders, such as gait problems and the increased risk for falls, which can be serious and even life-threatening. Falls can cause fractures and disability. If you are worried about falling, or you or a loved one have been injured recently due to a fall, our physical therapists can help with balance and gait training. Your therapist will evaluate your range of motion and strength, assess your balance and posture while you are sitting and standing, and create a treatment plan that focuses on functional improvement and independence. Your therapist will teach you strategies to help you manage your dizziness so you can safely go about your daily activities. Together you will figure out which activities cause you to become dizzy, and your therapist will show you how to do those activities in a different way to help reduce the dizziness. Components of gait training vary and depend on the type of condition you have, the extent of your condition, and your goals. Your treatment plan might include exercises to improve your balance, strength, mobility, and flexibility. Your physical therapist can also issue a cane or walker to help with balance. 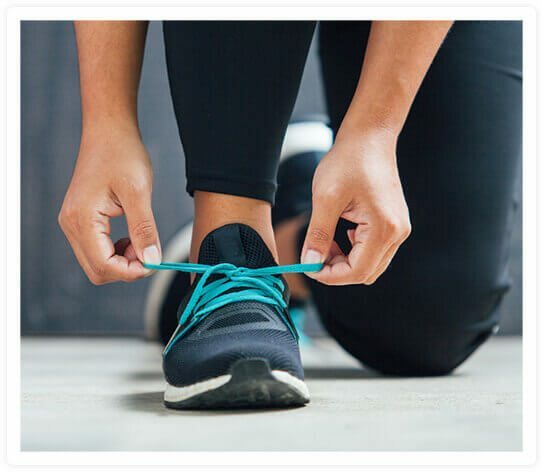 If you’ve been delaying treatment for a balance or gait disorder, or have already had a fall, trust the experts at Orion Physical Therapy and Active Orthopedics Physical Therapy. We’ll help you get your life back. We have locations in Lake Orion, Midland, and Freeland, Michigan. For an appointment, call the location nearest you.